Sanjeev was arrested from a friend’s house in Belvedere Road area in Kolkata. He has been kept at Alipore police station and will be flown to Mumbai on Thursday. Indrani first hit headlines in 2002, after news of her affair with Peter Mukerjea. A day after Indrani Mukerjea, wife of former Star India CEO Peter Mukerjea, was arrested, along with her former driver, for her alleged role in the murder of Mumbai resident Sheena Bora who was reported missing in 2012, it emerged that Sheena was her daughter from an earlier marriage — and not her sister as she had everyone believe. The murder mystery deepened Wednesday when Mumbai police arrested Indrani’s former husband, Sanjeev Khanna, from Kolkata, saying he too was an accused in the case. After questioning Indrani and Sanjeev separately, police claimed that 22-year-old Sheena was killed inside a moving car on April 24, 2012. Driver Shyam Rai is alleged to have burnt the body later. The charred body was disposed in parts, some remains buried at a spot in Pen, Raigad. Sanjeev was Indrani’s second husband marriage — she married Peter in 2002. Police said family members had confirmed that Sheena was Indrani’s daughter from her first marriage to a Tripura-based man named Siddharth Das. Initial investigations point to multiple motives including honour killing and property dispute, police said. Maria attributed the arrest to a probe based on “confidential information”. In a three-page remand application to the Bandra metropolitan magistrate, police have described Indrani as the “mukhya sutradar”. Police claimed she was upset with Sheena over her relationship with Rahul, Peter’s son from an earlier marriage. “Sheena and Rahul wanted to get married but Indrani and Peter were dead against it. Indrani involved Sanjeev when she decided to get rid of Sheena,” a police officer said. Late Wednesday night, Rahul recorded his statement at the Khar police station. Police said Indrani had planned every detail — even impersonating as Sheena after the murder. She used Sheena’s phone for a year after the killing with call records and cell tower location of Sheena and Indrani’s phone showing location matches. Indrani is alleged to have informed all in the family that “her sister Sheena” had moved to the United Kingdom to pursue higher studies. Between 2012 and 2015, Indrani also visited the UK. “She impersonated as Sheena and used her mobile phone to communicate with her friends. She even ‘broke off’ with Rahul over the phone,” the officer said. According to the remand application in court, Rai was arrested on August 21 in an Arms Act case involving a pistol. He told police that the pistol had been given to him by Indrani, that he had been her car driver for three years. His interrogation led police to a murder probe after he spoke of his involvement in a murder, and of body parts being buried in Pen in the last week of May 2012. On August 22, the police team searched Rai’s house in Vakola where they found a photograph of Sheena. According to police, he led them to the spot in Pen where the body parts had been dumped. Police claimed it was Sanjeev who contacted Sheena and asked her to meet him near the National College on April 24. She was abducted and killed in the car which was later parked in a garage owned by Peter Mukerjea, police said. On April 25, Indrani, Sanjeev and Rai left in the same car to dispose the body. “A forensic study of the call records of Sanjeev and Indrani suggest that through the entire period leading to the murder, Sanjeev kept Indrani updated,” a police officer said. Police said Sanjeev appeared to have different motives. “We are still to interrogate him but we know he assisted in the conspiracy to make monetary gains, and also hoping that Vidhie (Indrani and Sanjeev’s daughter) would inherit Sheena’s share of the property. Vidhie was adopted by Peter. When the INX network deal came through, Indrani bequeathed the gains from the deal to Sheena but it’s not clear if she willed anything to Vidhie. Sanjeev saw this as an opportunity for his daughter and decided to help Indrani execute the plan,” the officer claimed. 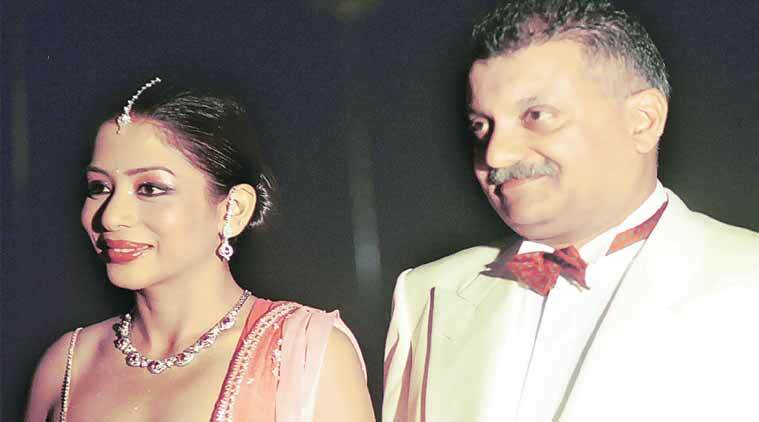 A police team visited Peter’s house in Worli Wednesday and seized a laptop and phone that belonged to Indrani. Earlier in the day, Peter told TV news channels that he did not approve of the relationship between his son Rahul and his step-daughter Sheena. “When I was told that Sheena was sent off to the US, I felt a sense of relief. While my son was aware that she was Indrani’s daughter, Indrani introduced me as her sibling. It was only when she was arrested, I learnt that she was her daughter,” he said.